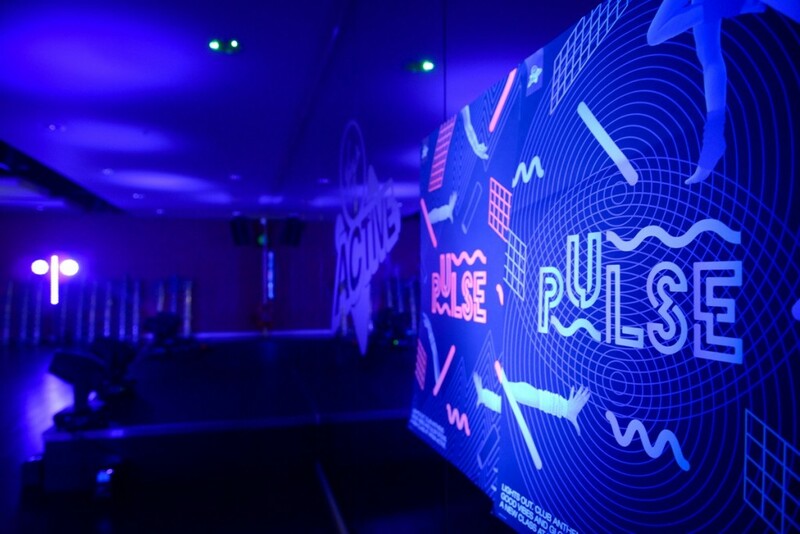 Week 45 of 2015’s training saw my first two sessions of my new strength and power programme, as well as the chance to try out the new Virgin Active collaboration with Clubbercise = Pulse. I’m terrible at dancing, and have zero coordination, but I left grinning ear to ear and feeling like I’d had a thoroughly good workout. I love changing up my training with trying new classes, especially when I can train with some of my lovely fitness friends! The score was how many reps of the clean you managed to do in the 8 minutes. I worked with Jo and we managed 84 reps. This WOD was really tough on your lower back with the row and cleans so I had a good foam roll afterwards. Tuesday – Rest day. After yesterday I had some pretty strong aches! I was working in London today so left the house early and grabbed myself breakfast from Pod on the way in. Wednesday – Virgin Active Pulse 6:30pm. After work I jumped on the train into London and headed to Virgin Active’s Aldersgate club (a lovely spacious club!) and got all dressed up in some lovely complimentary Superdry kit ready to try out Pulse, the new dance fitness class in partnership with Clubbercise. 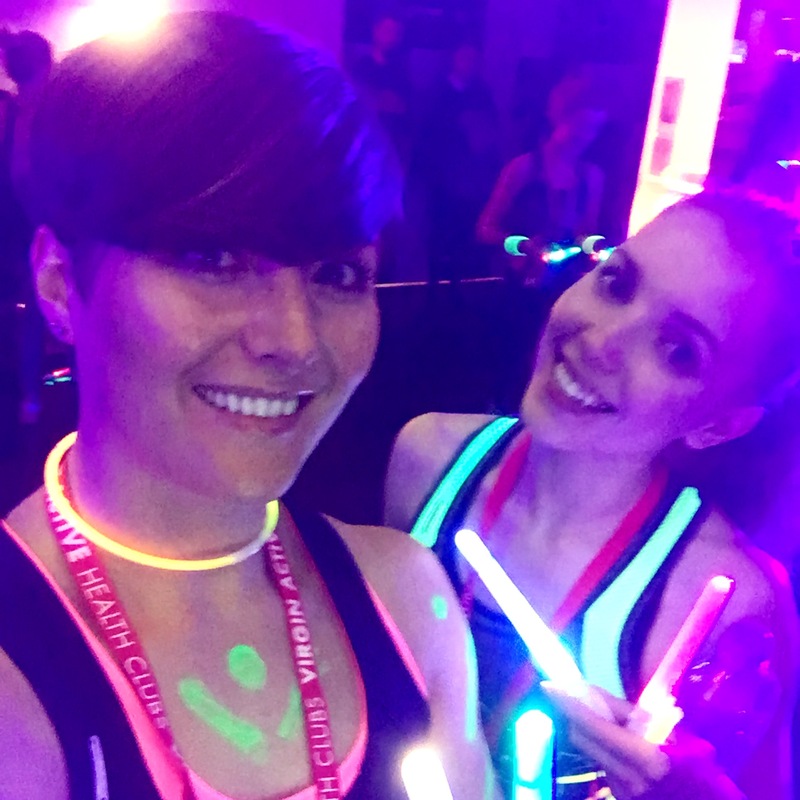 It was so lovely to see familiar faces there and we danced it out in the up-tempo class with our glow sticks and glow in the dark body paint until we were sweating buckets. 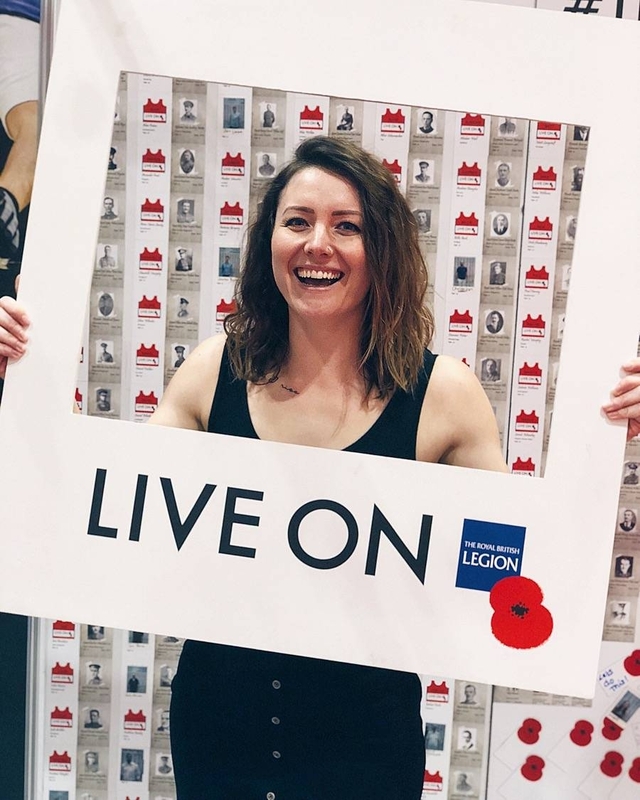 The class was SO much fun, fusing great dance tracks with simple-to-follow dance moves that make you feel like an extra on a music video, and the kit was a dream – staying firmly in place the whole way through. I was buzzing after class, and pretty much bounced the whole way back to the station! Thursday – Gym 6pm. I headed to the gym after work to complete my first session of my new strength and power programme that my PT had written me. I had power cleans, front squats, banded pull ups, Romanian deadlifts, barbell overhead press and hanging leg raises to get through. All in all a challenging session, but full of stuff I enjoy. 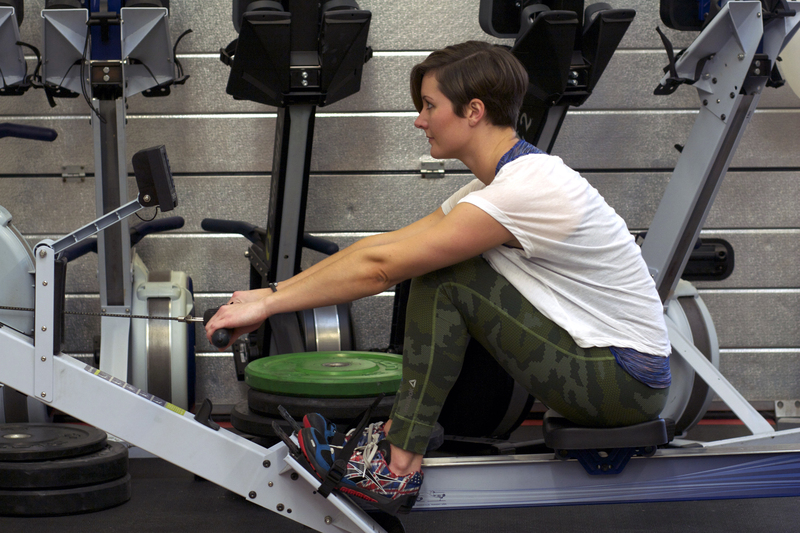 My gym has gone to the effort of putting a lifting platform in the strength and conditioning room, which is great, but they don’t have bumper size plates… in fact, the only plates that are big enough to raise the bar to the right height for lifting are the 20kg or 45kg plates! Well done, Leisurezone. Well done. Friday – Rest day. My first Open University assignment and my first PT attendance weekend are both coming up in a couple of weeks so I took part of the evening to do a bit of studying. Saturday – Rest day. We got our wedding photos back this weekend so I had a browse through and we started to relive our wedding day a little. It was so weird looking through the photos of my husband getting ready to meet me, and the same for him looking at my getting ready photos. Sunday – Gym 8am. I got to work on my second strength and power session. This time I had rack deadlifts, bench press, banded pull-aparts, dumbbell walking lunges, bent over row, pushups and core work of my choice (I did medicine ball v-ups). After getting home and showering we drove up to see my mum and her partner for the afternoon. We munched on home-made cheese biscuits and had a nice walk before a hearty dinner – my mum is such a wonderful cook! Have you tried Virgin Active’s Pulse class? What did you think? 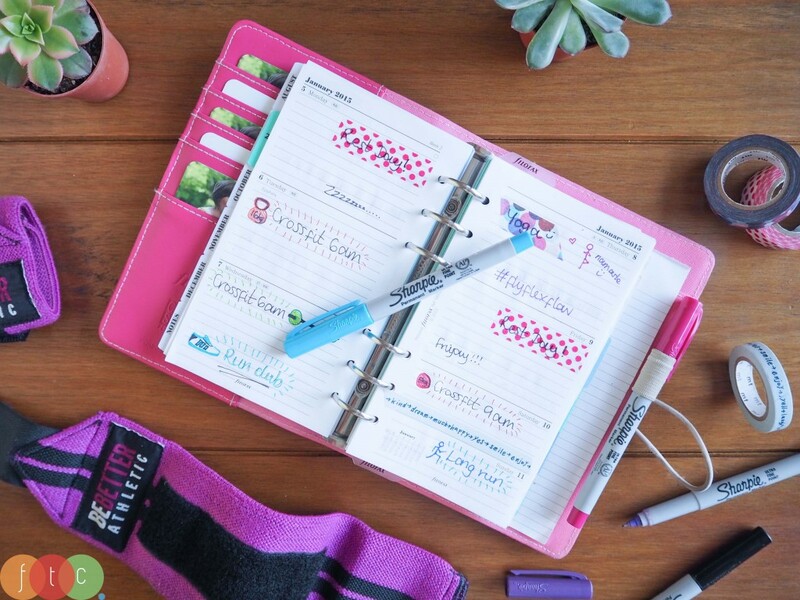 Do you keep a training diary? If so, feel free to post it below – I’d love to read! Inversions Unsupported hand/handstand (end Q1) Need to work on confidence away from a wall. Pullups 5 strict (end Q2) Regressed since injury and infrequent training. Clean & Jerk Body weight (end Q4) Clean and jerk 60kg, clean 67.5kg. BW ~72.5kg.